Maine Governor Paul LePage has asked the US Dept. of Commerce to exempt New Brunswick from duties against Canadian lumber, blaming BC for the softwood dispute. LePage also believes that some mills in Quebec near the US border should be excluded. 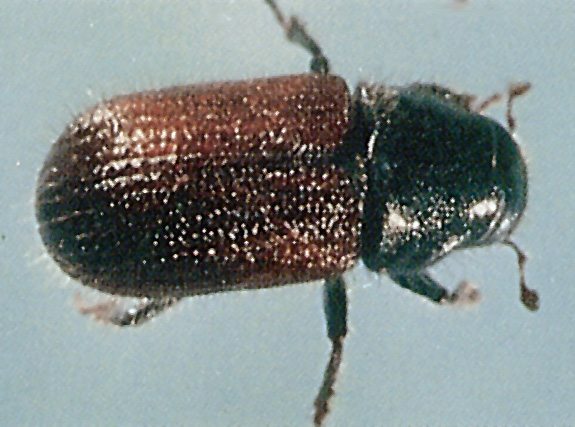 In other Business news, Trudeau announces investment deal with India [that includes pulp] and Gorman Bros. drops a shift due to reductions in beetle kill logs. In Forestry news, BC’s NDP turns its attention to raw log exports; FSC’s rigour is challenged by a Yale School of Forestry publication; the US Congress fails to fix the funding formula for wildfire management; the Dept. of Interior is in turmoil due to changes in public land management; and a million trees have been pledged to offset Trump’s non-climate plan. Finally, New Zealand robotics offers new solutions for forest safety and shortages of skilled machine operators; while new laser technology in the UK seeks to measure forest canopy changes over time. Some of India’s biggest companies say they will invest more than $250-million in Canada in the coming years in everything from pulp mills to pharmaceuticals and the IT sector. Canada, meanwhile, will invest $750-million in India. The news came after Prime Minister Justin Trudeau [met] with six of this country’s most influential business tycoons making deals that he says will create at least 5,000 new jobs in Canada. …Kumar Birla, the chairman of Indian conglomerate Aditya Birla Group and the country’s eighth wealthiest person, says the business friendliness of the federal and provincial governments in Canada makes for happy investors who will always come back looking for more. He says his company – which is largely focused on the natural resources sector and already owns pulp mills in Ontario and New Brunswick – has three business expansions planned in Canada in fibre, carbon black and rolled aluminum products. Maine Governor Paul LePage has asked the U.S. Department of Commerce to exempt New Brunswick from punitive duties against Canadian lumber shipments into the United States, blaming British Columbia for the softwood dispute. Mr. LePage made the request to Commerce Secretary Wilbur Ross. …Mr. LePage told the meeting that Maine typically sends logs to Canadian sawmills, and much of the production of lumber is shipped to the United States. But he warned that the softwood fight has thrown hundreds of Maine loggers out of work. …All four Atlantic provinces escaped U.S. tariffs and quotas for decades in the long-running softwood dispute dating back to 1982, but New Brunswick lost its exemption in this fifth round of the trade fight. …Besides requesting duty exemptions for New Brunswick producers, Mr. LePage believes that some mills in Quebec near the U.S. border should also be excluded from the tariffs. MONTREAL — Softwood lumber duties aren’t dampening the spirits of Canadian lumber producers as strong demand from rising U.S. housing starts and tight supply is expected to keep prices high throughout 2018. The number of U.S. housing starts beat expectations by surpassing 1.33 million in January on a seasonally adjusted basis, with single family starts increasing 7.6 per cent, according to the U.S. Census Bureau’s figures. Housing permits approached 1.4 million. …Paul Quinn of RBC Capital Markets said the thinking among Canadian producers has changed over the past year. They originally expected to absorb half the duties with the other half being passed on to consumers. …Maine Gov. Paul LePage met with Wilbur Ross, pressing the U.S. for an exemption for New Brunswick and some Quebec border mills from softwood lumber duties, according to a U.S. government filing. The federal budget deal didn’t directly address the debilitating cost of fighting wildfires, but did set aside $90 billion to pay for natural disasters — most of it earmarked for hurricanes in Hawaii. The budget also provided for $300 billion in new spending, raised the debt ceiling and lifted the budget caps that had limited the speed with which the deficit was growing. However, most of the key details governing things like the Forest Service wildfire budget will have to be worked out in committee in the next month. 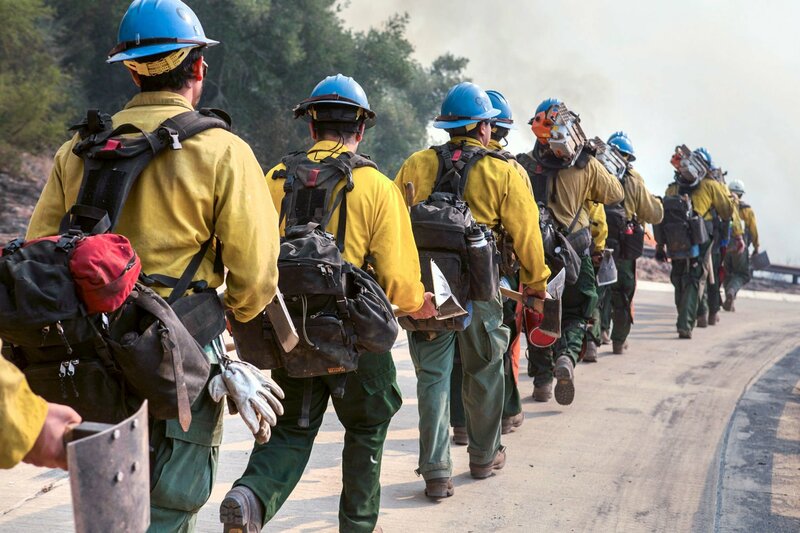 The Forest Service and Bureau of Land Management has for years pleaded with Congress to end the practice of “fire borrowing,” which requires those agencies to shift money from things like forest restoration into firefighting — which now consumes half the total Forest Service budget. with quanti able insight in areas that directly impact your bottom line. Wondering how the University of British Columbia (UBC) was able to erect an 18-storey, structural mass-timber student residence? Two architects provided answers at Vancouver Buildex 2018, which took February in Vancouver. The architects are from the UBC Sustainability Initiative department. Angelique Pilon is the director of research and Zahra Teshnizi is a research project co-ordinator. Pilon says the presentation is not aimed at wood specialists, but at anyone who is interested in mass timber. …With approximately 15 buildings on the Point Grey campus using mass-timber, UBC has been at the forefront of the growth of wood construction, Pilon says. …In addition, structural mass timber has been used in the community centres of some residential neighbourhoods on the UBC campus. 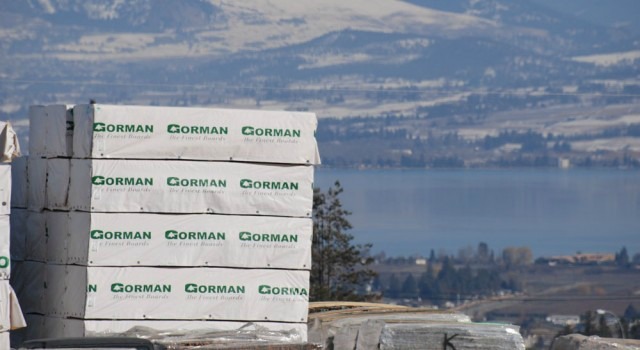 The design of connection systems for modern mass timber buildings is critical and “can be a major cost factor that requires a detailed understanding of fastening systems to find economical solutions.” That is the word of Max Closen, owner of Vancouver-based MyTiCon Timber Connectors, a specialty supplier of connection systems for new mass timber and heavy timber buildings. 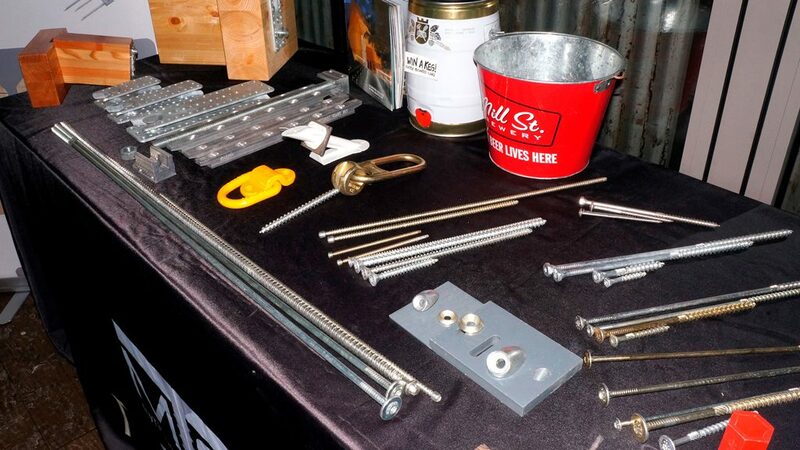 Through Ontario Wood WORKS!, MyTiCon recently delivered educational seminars on timber connections in Ottawa and Toronto to builders and designers keen on learning more about the new mass timber midrise movement. …Closen said while government agencies, industry partners and not-for-profit groups have helped raise the profile of mass timber structures, increased education is still needed as the pace of construction picks up. SHIRAKAWA, GIFU PREF. – A tree-cutting ceremony took place in the village of Shirakawa on Tuesday to mark the start of lumber procurement for a communal facility in the Olympic Village at the 2020 Tokyo Games. The Gifu Prefecture village is one of 63 municipalities providing wood for the Village Plaza as part of an initiative by the Tokyo Games organizing committee to involve all parts of Japan. …Chain saws were then used to cut down a Japanese cypress tree 28 meters high and 50 centimeters in diameter. …Set to be built in the Harumi waterfront area of Tokyo, the Village Plaza will form part of the village. It will be made with domestic wood to showcase Japan’s culture and traditions and serve as an example of environmental sustainability. A Japanese company is planning to build the world’s tallest wooden skyscraper with 90 percent of the building made of wood. Sumitomo Forestry says its wooden high-rise — dubbed the W350 — will be 350 meters tall and the planned structure will be a hybrid of mostly wood and steel. The 70-storey building, expected to be built in Tokyo, will comprise of stores, offices, hotels and private homes. …Using 185,000 cubic meters of timber, the building is expected to cost around 600 billion Japanese yen ($5.6 billion) which is twice the amount of a conventional high-rise building constructed with current technology. …The concept for the building has been prepared primarily at Tsukuba Research Institute. …Sumitomo Forestry can trace its origins in the timber industry back to 1691 and the W350 building is planned to mark the company’s 350th anniversary in 2041. In a February 12th, 2017 Toronto Star op-ed, it was stated, “There was a time — decades ago — when putting the demands of large forestry companies above the interests of everyone else may have been a good political strategy. It certainly isn’t now.” We would like to take this opportunity to set the record straight, introduce the authors of this misleading article to “everyone else”, and recognize the efforts of Premier Wynne and the Ontario government for taking steps towards a responsible approach to species at risk policy development. An Alliance of First Nation and non-First Nation leaders representing rights holders, stakeholders, municipal leaders, unions, and Ontario’s forest sector was formed in January 2018 to defend a way of life, with a mandate to grow the responsible use of natural resources in northern and rural Ontario. More than one million trees have been pledged for Trump Forest, a bid by environmentalists to offset the US president’s curtailing of Obama-era clean energy initiatives by planting 10 billion trees around the globe. “US president Donald Trump doesn’t believe in the science of human-caused climate change,” reads the website for the project, launched before Trump withdrew the US from the Paris climate accord. “So we’re planting a forest to soak up the extra greenhouse gases Trump plans to put into our atmosphere. …The project was launched last March and in less than a year over a million trees have been pledged from people around the world, but particularly in the US and Europe. 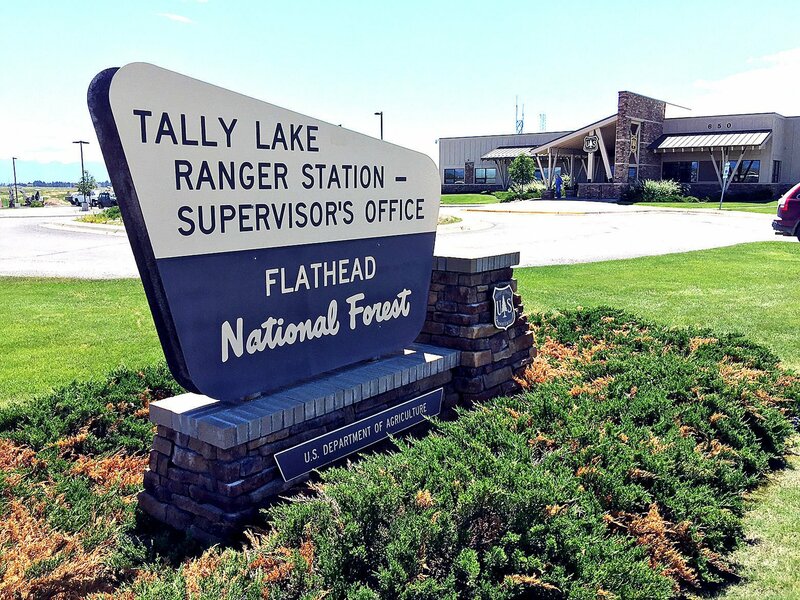 KALISPELL – With one deadline past and another looming, Flathead National Forest officials will be working weekends to identify the issues raised in objections filed on a proposed land-use plan. They tallied 74 objections when the objection period ended Monday on the plan that will guide future management decisions on the 2.4 million-acre forest for the next decade or longer. Over the next 90 days, the agency will work with different groups in an effort to resolve a variety of issues raised during a process that will be closely watched by those who care about the future of that landscape. It’s been 30 years since the last update to the Flathead Forest land-use plan. BILLINGS, Mont. — A year of upheaval at the U.S. Interior Department has seen dozens of senior staff members reassigned and key leadership positions left unfilled, rules considered burdensome to industry shelved, and a sweeping reorganization proposed for its 70,000 employees. The evolving status quo at the agency… has led to praise from energy and mining companies and Republicans, who welcomed the departure from perceived heavy-handed regulation under President Barack Obama. But the changes have drawn increasingly sharp criticism from conservationists, Democrats and some agency employees. …The differing views illustrate longstanding tensions over the role of America’s public lands — an amalgam of pristine wilderness, recreational playgrounds and abundant energy reserves. 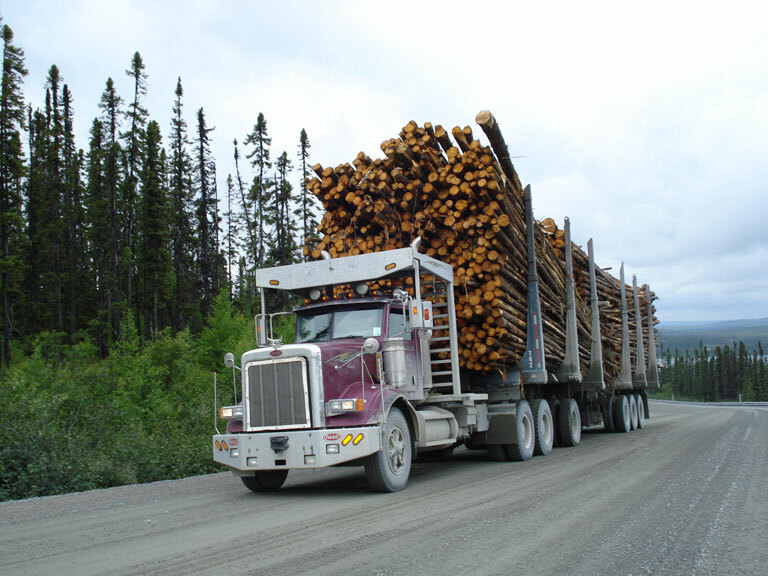 AUGUSTA, MAINE — Lawmakers are set to consider a lawmaker’s idea to offer tax credits for logging and trucking businesses that hire U.S. residents. The concept bill could receive a Tuesday committee vote. It’s sponsored by Democratic Senate Leader Troy Jackson, a fifth-generation logger whose family still works in Maine’s forests. Jackson’s bill was still in concept form at a January hearing. Professional Logging Contractors of Maine declined to take a position until it saw actual details. The trade group said in the last four years, Maine has seen the closure of five pulp and paper mills and the periodic idling of two wood energy electric facilities. The environmental rationale for protecting forests is well known. Lesser known, but equally significant, is the role of forest products. Forest products are key to a green economy, an economy that relies on sustainable materials with a minimal environmental footprint. This is the spirit of the Rovaniemi Action Plan, a regional blueprint to support the contribution of the forest sector to the transition to a green economy. Approved in 2013, the Rovaniemi Action Plan remains the main framework to guide the transition to a green economy in the forest sector in the UNECE (United Nations Economic Commission for Europe) region. In order to support countries’ efforts to harness this potential, experts from 13 countries gathered in Geneva on 13 and 14 February at a UNECE and FAO workshop to review actions undertaken by governments, international organizations and the private sector to implement the Action Plan. 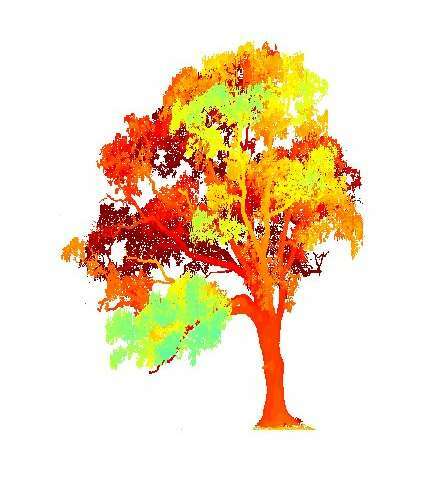 New laser scanning technologies developed at the University of Salford are being used to map forests in more detail than ever before. The technology could help give earlier and better data on the impacts of climate change on nature. …Mark Danson, professor of geography at the University of Salford said: “Climate change has led to earlier spring growth in forests in many part of the world but measuring the amount of leaves present in a forest canopy through time is currently almost impossible. “Our research is testing new methods to map three-dimensional leaf growth in forests, so that rather than rely on an ‘observer’ spotting growth in a forest on a given day, we can map the spatial and temporal changes in leaf development remotely.” …Measuring the leaf area manually took fifteen volunteers three whole days; the laser scanner reconstruction took just a few hours. CORVALLIS, Ore. — In the midst of an unseasonably warm winter in the Pacific Northwest, a comparison of four publicly available climate projections has shown broad agreement that the region will become considerably warmer in the next century if greenhouse gas concentrations in the atmosphere rise to the highest levels projected in the the Intergovernmental Panel on Climate Change (IPCC) “business-as-usual” scenario. …The researchers chose to analyze projections for the recent past as well as for three 29-year periods from 2011 to 2100. 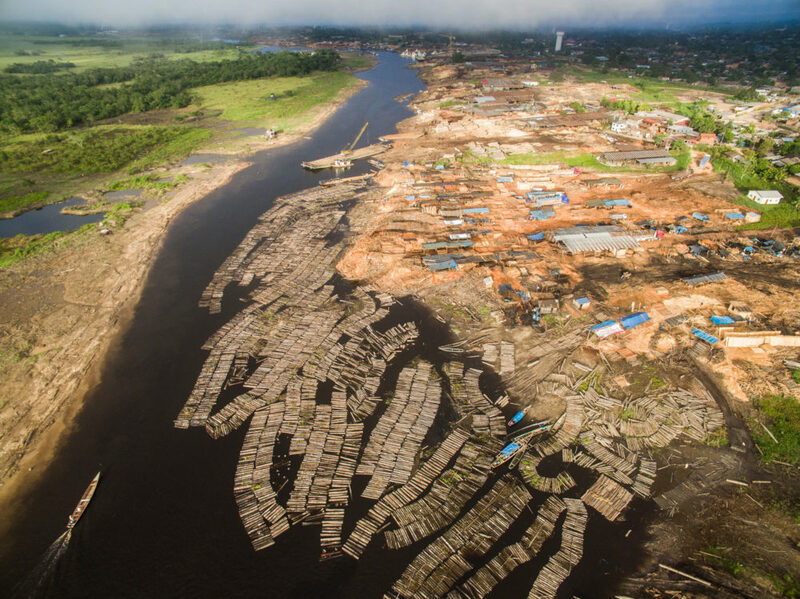 Their goal was to characterize the differences to inform and guide scientists and land managers who are evaluating the projected impacts of climate change on local resources. Third-generation biofuels research and development is largely focused on algae as a raw material. Early research demonstrated that energy yields from a given surface area are far greater from algae than from plants currently used in producing biofuels. The great potential of algae is, however, clouded by a number of technical and economic hurdles which must be overcome before algae contributes in any significant way to providing energy for transportation. Among these are reduction of nutrient requirements in cultivation and energy requirements in processing. For the near to mid-term, at least, algae-derived biofuels are unlikely to pose competitive risks to the emerging second-generation cellulose-based biofuels industry. A monster earthquake rivalling the one that devastated Japan last March is all but a certainty on North America’s Pacific coast, scientists say. …The scientists expect the region to eventually unleash an earthquake of magnitude 9 or more. It could tear down the fault zone from Vancouver Island to Northern California. …And the sea floor will heave creating a tsunami that will roll towards shore. Models suggest waves three metres high will hit the outer coast and inundate low-lying areas. Scientists say the waves could double and triple in size as they race up inlets. Fish farms, logging camps and low-lying communities tucked in bays and inlets could be devastated, Clague says. NEW ZEALAND — Forest safety, improving productivity and getting workers off the felling site has been a major push for forestry managers, forest owners, logging contractors and equipment suppliers to modify their wood harvesting operations over the last few years. Another major driver to increased mechanisation has been the skilled machine operator shortages that many forestry companies are now currently facing. The ultimate goal of the industry is to have “no worker on the slope, or no hand on the chainsaw”. …Firstly, a myriad of new designs and operations, including vision systems for remote operation of equipment, have been introduced to extract wood safely off steeper slopes. More recently, tele-operation of wood extraction has successfully been trialled in New Zealand where the operator is sitting separately and away from the felling and log extraction operations.